We are happy to announce that we have officially completed our first verification for the Pets and Motorcyclists Welcome Programs! Big Land Bed and Breakfast in Goose Bay, NL recognize the importance of providing specific amenities that are valued by travellers in these unique markets. Raymond Goodwin, owner Big Land Bed and Breakfast. Working with Bigland B&B to achieve this verification was quite easy. They were already providing many specific amenities for their guests. 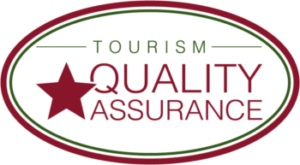 Now they have their official stamp of quality from Tourism Quality Assurance that they can use in their marketing efforts to demonstrate their commitment to providing these services. Cyclists, Motorcyclists and Pet Owners are looking for touruism services and attractions that cater to their unique needs. If you would like to learn more, check out our Welcome Program designation!